Weller is DIN EN ISO 9001:2008 cer­ti­fied. The pur­pose of these sys­tems is to pro­tect the en­vi­ron­ment, to avoid ac­ci­dents in the work­place, to con­tin­u­ously op­ti­mize pro­duc­tion processes and to man­u­fac­ture the best pos­si­ble prod­ucts. Not only do em­ploy­ees ben­e­fit from our con­tin­u­ously re­viewed and re­vised qual­ity and re­li­a­bil­ity stan­dards; so do our cus­tomers and, last but not least, the en­vi­ron­ment – sus­tain­ably and for the good of all. Seals of qual­ity such as VDE, TÜV and com­pli­ance with the RoHS and REACH en­vi­ron­men­tal guide­lines are oblig­a­tory for Weller Tools GmbH. 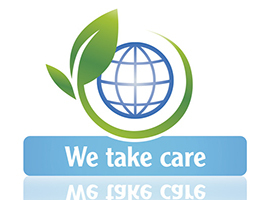 The Weller en­vi­ron­men­tal pol­icy is based on DIN EN ISO 14001. The Weller work and health safety sys­tem has been adapted for com­pli­ance with OHSAS 18001. To min­i­mize en­ergy con­sump­tion, Weller has equipped its prod­ucts with Standby and Auto-off modes. Weller sol­der­ing sys­tems are mo­tion-ac­ti­vated, i.e. en­ergy is con­sumed only when the tool is ac­tu­ally in use. Con­nected aux­il­iary tools also go into Standby mode when not in use, which means big sav­ings on en­ergy. A va­ri­ety of work processes in­clud­ing sol­der­ing, bond­ing, weld­ing and laser ap­pli­ca­tions pro­duce fine dust par­ti­cles and gases which are harm­ful to both users and the en­vi­ron­ment. Many coun­tries now have statu­tory guide­lines gov­ern­ing clean air in the work­place, which pre­scribe the treat­ment and avoid­ance of haz­ardous air­borne pol­lu­tants. The Weller phi­los­o­phy is to pro­tect em­ploy­ees by ex­tract­ing these fumes. 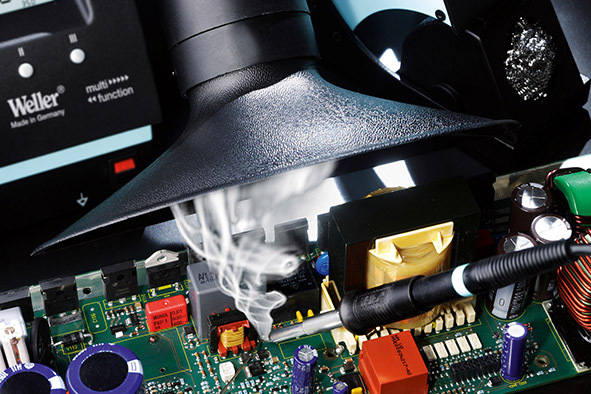 Weller Zero Smog fume ex­trac­tion sys­tems are op­ti­mally de­signed to sup­ply clean air to in­di­vid­ual work­sta­tions. The pro­tec­tion of the en­vi­ron­ment is an in­te­gral part of the Weller phi­los­o­phy. Weller is ded­i­cated to the pro­tec­tion of the en­vi­ron­ment and to the en­vi­ron­men­tally-friendly use of nat­ural re­sources. All Weller em­ploy­ees are en­cour­aged to ac­tively par­tic­i­pate, on a daily basis, in the pro­tec­tion of the en­vi­ron­ment in the work­place.